After considering feedback from key stakeholders, contributing agencies and residents, INDOT has refined Alternative 4c. This refined version of Alternative 4c – now known as the preliminary preferred alternative – provides the best balance of function and impact while meeting the project’s purpose and need to replace deteriorated infrastructure, improve safety and improve traffic flow. It would also improve safety by eliminating the weaving sections (locations where traffic is forced to cross paths) on the west leg of the interchange near the Pennsylvania and Delaware Street ramps. Eliminating the weaves would also remove the most severe bottlenecks in the interchange, allowing for improved traffic flow without adding new through lanes. I-70 traffic from the east would no longer have access to the Pennsylvania Street exit ramp. All other I-70 movements would continue to be available. The Delaware Street entrance ramp traffic could access I-70 East, but would no longer have access to I-65 South or the collector-distributor (C-D) road serving North Street, Michigan Street, Ohio Street and Fletcher Avenue.  All southbound I-65 movements (Meridian Street exit, I-70 eastbound, I-65 southbound and the C-D to North Street, Michigan Street, Ohio Street and Fletcher Avenue) would continue to be available. As originally presented in the North Split Alternatives Screening Report, Alternative 4c eliminated I-65 access to the C-D road, with loss of service to North Street, Michigan Street, Ohio Street and Fletcher Avenue. Reconfiguring the interchange to serve I-65 movements is the most significant refinement in the preliminary preferred alternative. Learn about the other refinements. See maps of the preliminary preferred alternative.